I have been having so much fun creating these themed ten frame cards. 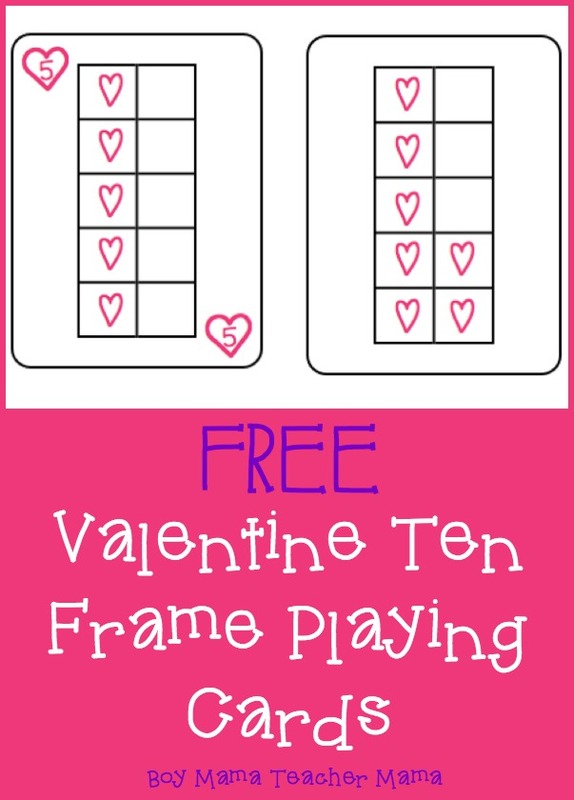 I used our football themed ten frame cards around the Superbowl and will bring these cards out this week for Valentine’s Day. 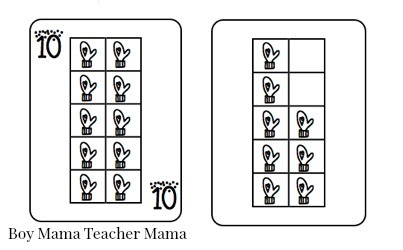 These cards can be used to play any game you play with regular cards. Go Fish, Old Maid, Snap or War are just a few ideas. 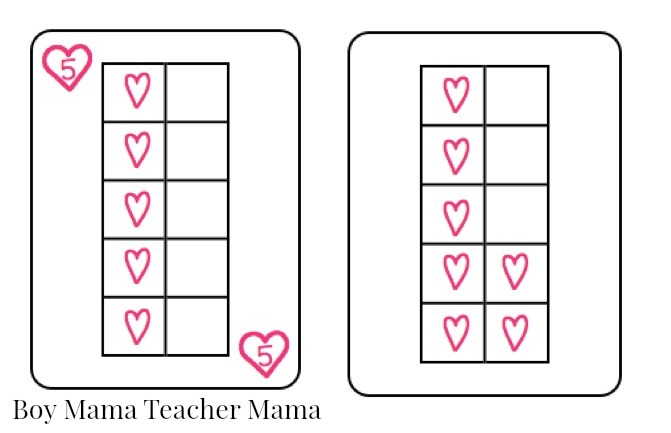 Note: There are two sets of card- one with the numbers in the corners and ones without.